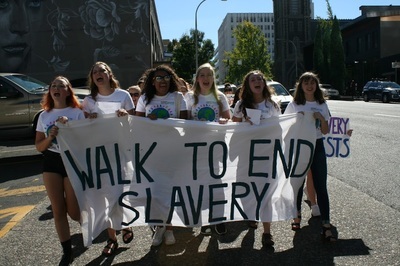 Youth Ending Slavery's 4th annual Walk to End Slavery was a huge success! We had an amazing turnout, and were able to reach even more people through our rally and march through downtown Portland. Our two amazing speakers, Rebecca Bender and Molly Botsford, educated and inspired our audience. YES also raised important funds through baked goods, t-shirts, and sticker sales, which will be used to put on more events in the future! Thank you to everyone who volunteered their time and joined us at this event. We look forward to seeing you next year! Click here for more photos of the 2016 Walk to End Slavery. 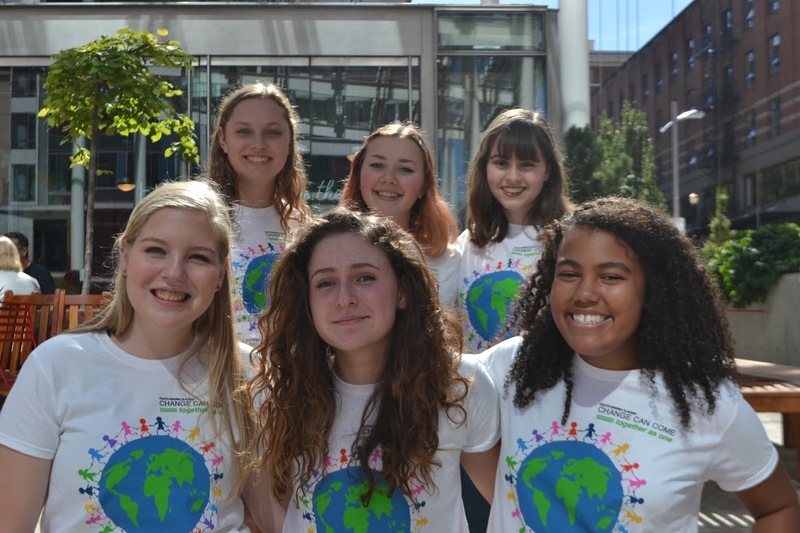 At this year-end conference, YES Chapters from across the Pacific NW came together to celebrate their many accomplishments during the 2015-2016 school year. Graduating seniors said their final farewells while new leaders discussed their plans for the next school year. The second annual Let Freedom Run 5K was a huge success! With the support of many energetic volunteers, generous sponsors, and dedicated race organizers from the Forest Grove YES Chapter, we raised $4,515 for Compassion First's SAFES Shelter. 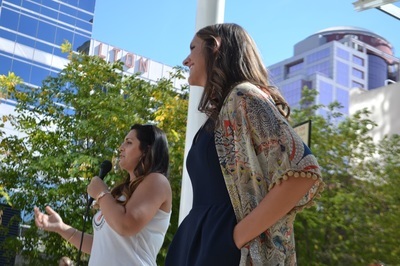 This money will support their programs and services for sexually exploited and vulnerable women in downtown Portland. Thank you to all who joined us! 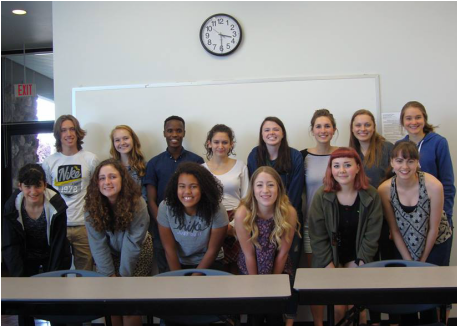 The Lincoln High School YES Chapter organized this event to encourage their peers to explore how different social injustices, such as homelessness, access to education, and human trafficking, are related to one another. Attendees participated in several hands-on projects including letter writing campaigns and group discussions. Thank you to all who attended! 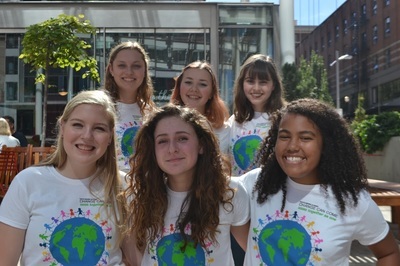 Leaders of YES Chapters across the Pacific Northwest recently worked together to implement and organize awareness campaigns within their schools. By distributing blue ribbons to raise awareness and signs to promote education, members actively inspired their peers to be a vital voice in the fight against trafficking. Stuart Perrin is a longtime activist from New York City. During his impactful career, he has established an international anti-trafficking organization, Little Sisters, starting a safe house in Nepal. He has written a book cataloguing his experiences and currently works as a highly-trained healing arts specialist. 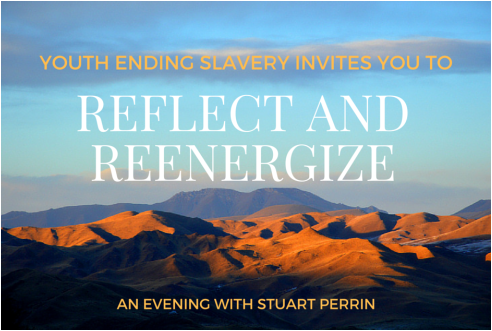 He will join us in Portland to share his story and to lead a meditation session. All are welcome, free of charge. At the March Chapter Conference, members and leaders convened from across Oregon to discuss the ways in which their groups have made a difference in their school and local communities. In the pictures at right, YES members explore how human trafficking relates to other social injustices such as homelessness, LGBTQ+ rights, poverty, and gender inequality. Thank you to all members and leaders for attending and engaging is such meaningful work in your communities. If you are interested in starting a YES Chapter at your school or within another youth group, click here. 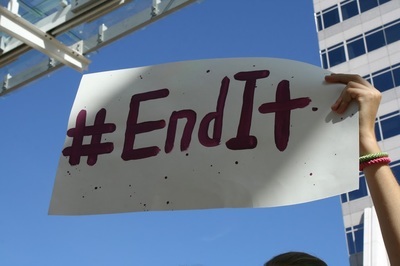 On February 29th, YES joined advocates from across the world to participate in the End It Now Campaign. This campaign aims to shine a light on modern day slavery. Click through the photos from the campaign. These are the faces of modern day freedom fighters. These are the faces of change. The YES Board was honored to lead the Service Workshop at the Oregon Association of Student Councils Winter Energizer. After presenting to more than 100 student leaders from across Oregon, YES facilitated a three-part workshop, framed around three aspects of the solution to human trafficking - advocacy, education, and service. In nearly an hour, students wrote more than 50 letters to state and federal policymakers, assembled more than 200 care packages for sexually exploited women, and took countless pictures to post on their social media outlets. Thank you OASC leaders! Pictures from the Social Media Station! In honor of National Human Trafficking Awareness Month, the YES Board organized a lecture and discussion-based event. At this seminar, participants explored how exploitation has transformed over time. With a lecture about historical abolition movements from Margot Minardi of Reed College and a presentation about his research by Dr. Christopher Carey of PSU, students and adults alike heard from experts within their respective fields. Thank you to the 70+ individuals who attended this event.